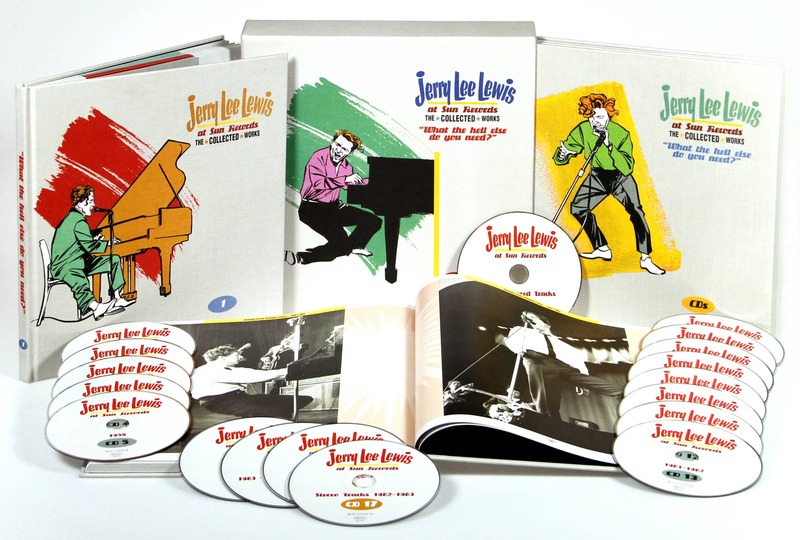 1-CD with 8-page booklet, 14 tracks. Playing time approx. 40 mns. 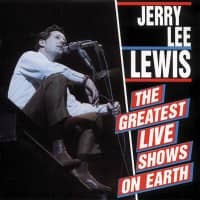 In poll after poll, this album is hailed as one of the greatest records of all time and quite possibly the greatest live recording ever. 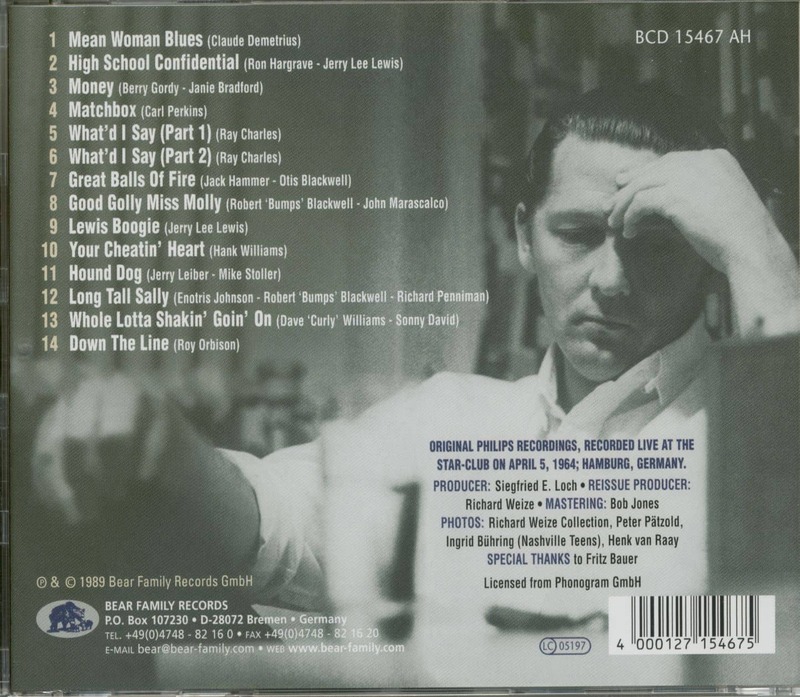 And now this 1964 classic makes a welcome reappearance on compact disc. 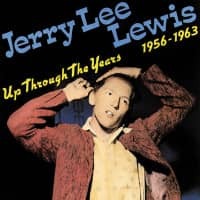 Jerry Lee was never on better form, and his backing group, the Nashville Teens, are STILL trying to catch up with him. 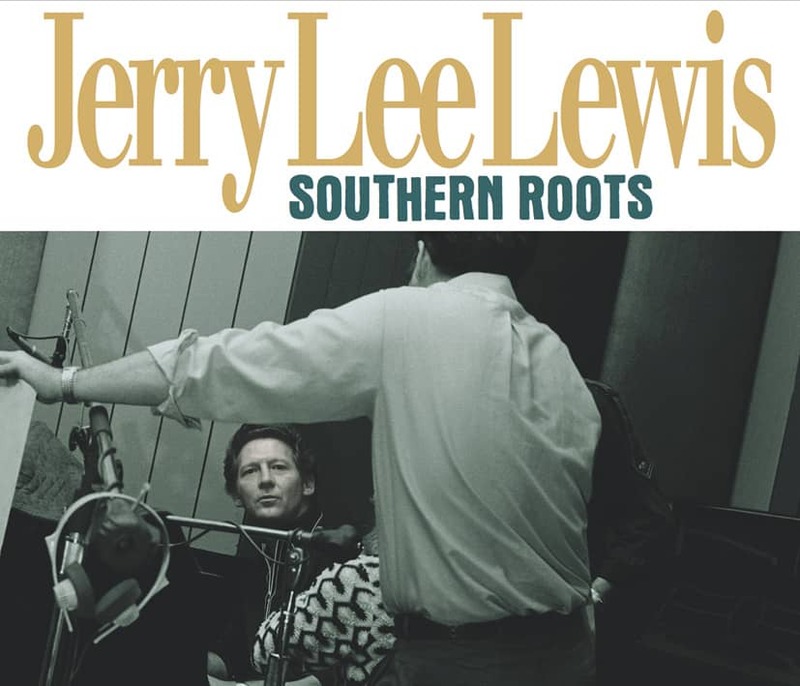 Jerry Lee went from one classic to another. His reading of Your Cheating Heart is still definitive, and Whole Lotta Shakin' is quite possibly the greatest-ever version. Fortyseven years later, we can re-live that night on the Reeperbahn. For those who bought the original LP, Bear Family's CD remastering will enable you to listen to it anew, for those who missed it, there's no excuse now.As a bonus, Bear Family has included one song, Down The Line, missing from the original LP. Also available on 180gram virgin vinyl! 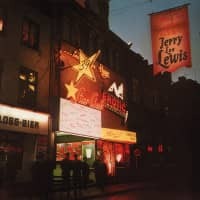 Customer evaluation for "Live At The Star Club Hamburg"
CD mit super Musik & einer \historischen\" Atmosphäre. 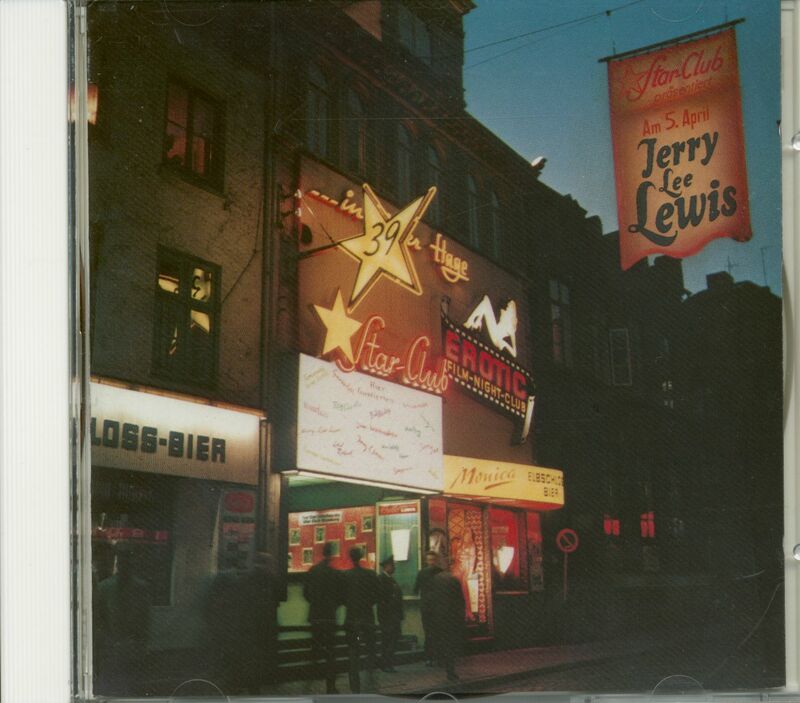 Der Killer, wie er sein mus.........................."
die LP ist natürlich gemessen an der CD optisch opulenter, auf der besagten CD ist \Mean Woman Blues\" vorhanden - so ist auch hier wiedereinmal ein \"schönes Stück Musik\" archeviert. Volle Punktzahl"
Press - Recorcl Collector WHOLE LOTTA SHAKE-1V You smell that blood on the ivory? The furry folk of the Bear Family have just remastered the poll-topping masterpiece from 1964 - Live At The Star Club, Hamburg - on vinyl and clothed it in a stunning gatefold sleeve designed by Ulf Harten. 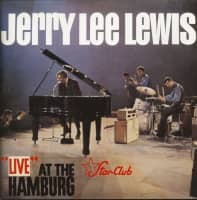 Press - JERRY LEE LEWIS Live At The Star Club Hamburg Bear Family LP www.bear-family.de Sometimes touted as one of the greatest live rock 'n' roll albums euer, there's no denying that The Killer is truly an the rampage during this show at The Star Club in 1964. 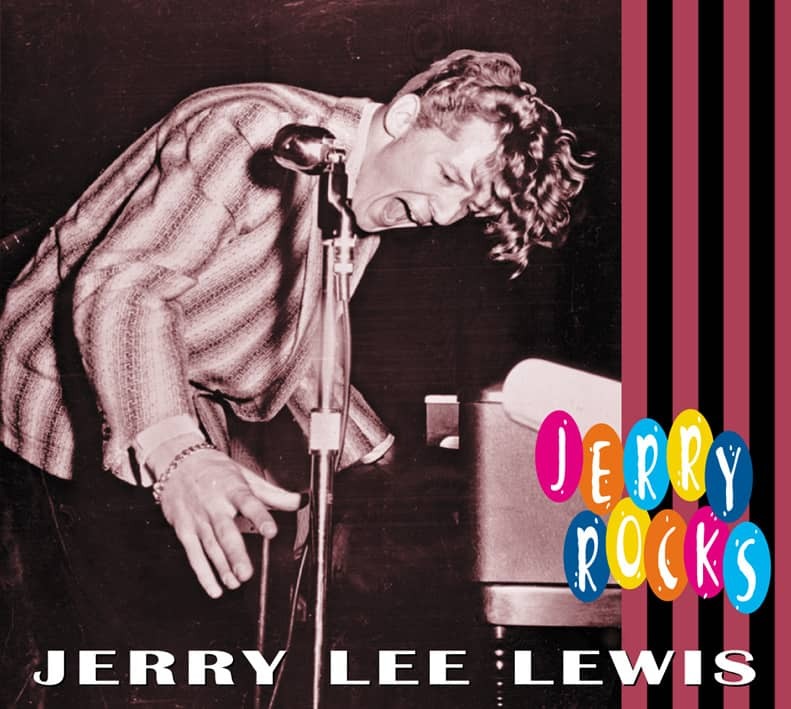 Backed by The Nashville Teens, Lewis marauds through a set that includes several of his own classics such as 'Great Balls Of Fire' and 'Whole Lotta Shakin' Goin' On', as well as covers of Little Richard, Elvis and Ray Charles songs among others. Although he would neuer fully recover the same lofty status he once enjoyed in the popularity stakes following the furore he caused by marrying his teenaged cousin a few years earlier, it's evident that Lewis is clearly a man back at the top of his game performance wise in this show. This vinyl-only reissue will also appeal to collectors, coming as it does replete with a pop-up, gatefold cover depicting a map of Hamburg's legendary Reeperbahn district, as well as the hell-blazing bonus kack 'Down The Line'.